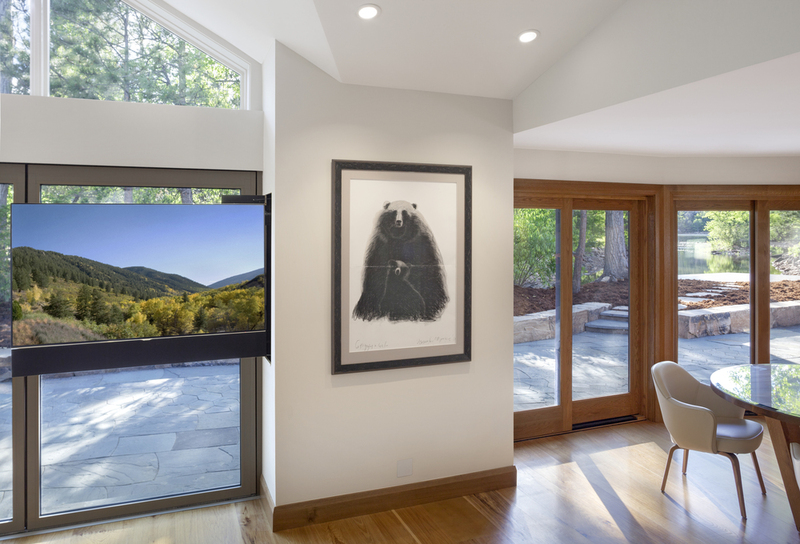 This Boulder home, finished in 2014, boasts a motorized in-wall television slide that pulls out of each side of the center wall between two rooms in an open floor concept. The TV can swivel and tilt on either side. When not in use, the TV is neatly concealed behind the wall. The home also features TV lifts in its bedrooms.